Hair extensions have the ability to add volume to the hair to make it look much thicker. Thanks to hair extensions, many beauties seem to be more confident because they are given a completely new appearance. What are their secrets to get a satisfied appearance with hair extensions? Before the appearance of hair extensions, thin hair had been an awful nightmare for a lot of beauties. However, the number of those who were tired of fighting with thin hair has decreased significantly since hair extensions became popular. 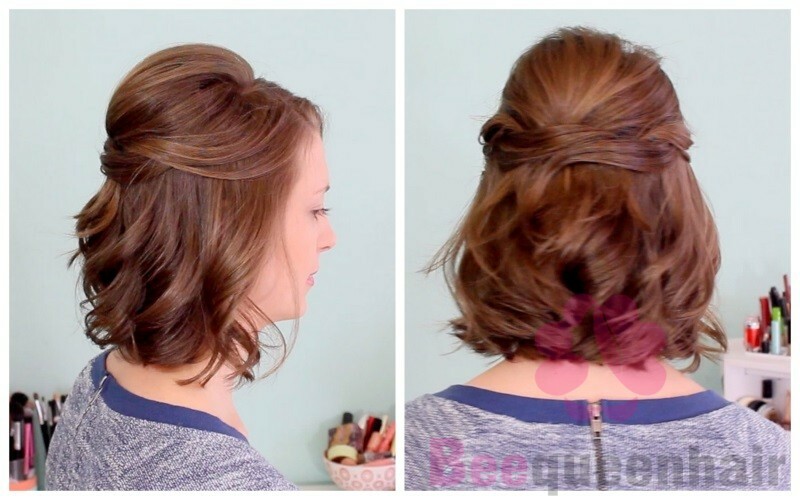 This writing will provide thin hair owners with some points that need considering when applying hair extensions for their thin hair. Let’s check them out! In fact, tape-in hair extensions and clip-in hair extensions are the most popular types of hair extensions that people take into consideration when choosing hair extensions for their thin hair. Nevertheless, tape-in hair extensions do not work with oily and sweaty hair as well as clip-in hair extensions. 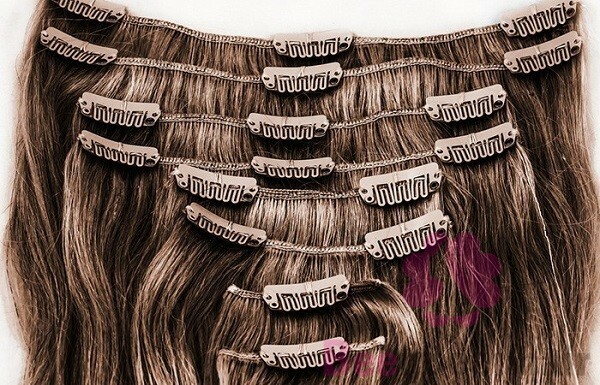 Therefore, many thin hair owners have chosen clip-in hair extensions as their powerful weapon to get rid of thin hair. 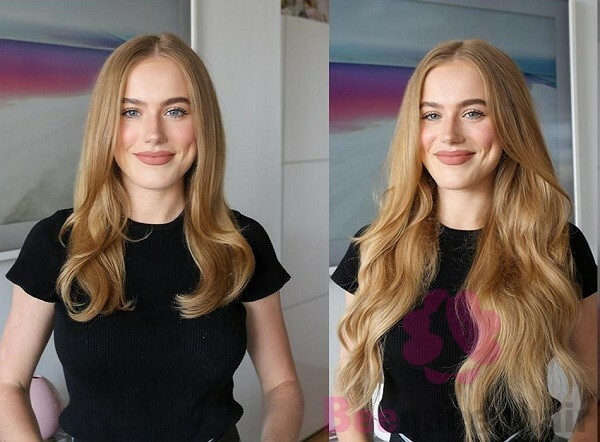 In the framework of this article, we would like to spend more words discussing some tips related to clip-in hair extensions. A lot of beauties assume that the more hair extensions we apply to their thin hair, the better. They try to cover as much of their thin hair as possible. It may be a serious mistake because of the fact that applying too many hair extensions means that we are putting much pressure on our hair and our scalp too. As a result, a wide range of hair problems such as hair breakage and hair fall may happen. 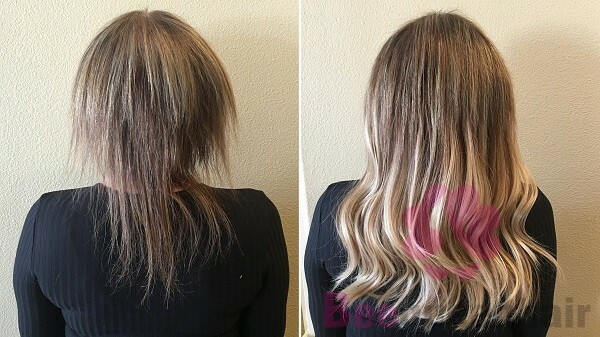 Not only does applying too many hair extensions may lead to some hair problems but it also gives us an unnatural look. It is proved that a bundle of hair extensions which weighs from 90 to 120g is reasonable. You are highly recommended to start applying with the behind of your neck because this is the area which needs to be covered the most. Another thing that you need to remember is that you should always clip the middle clips first. In case of 3 clip wefts, the middle clip should be prioritized. In case of 4 clip wefts, clip the 2 middle clips before coming with the others. By doing this, a balance is created so that the process of applying each weft will be much easier. 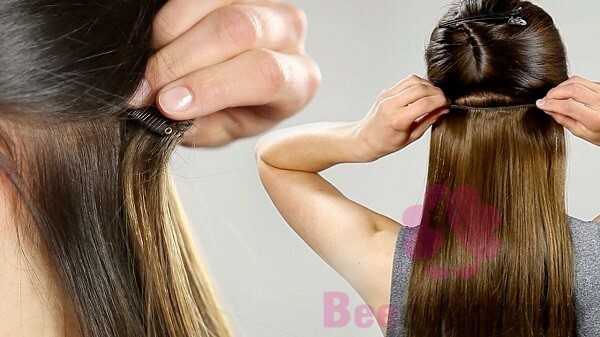 Sectioning hair plays an important role in hiding the hair extensions as well as holding the extensions strongly. The area below the path connecting your eyebrows is considered a safe area. It is the ideal place to clip in your wefts. If what we have shared with you is useful, please let us know by leaving a comment. We are looking forward to hearing from you guys. WHY DOES BLACK HAIR NEVER GO OUT OF STYLE?